If you’re looking to get married in Gran Canaria, the island of year-round sunshine, palm trees and stunning beaches you’ve come to the perfect place! 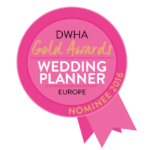 We are a team of dedicated wedding planners, here to guide you and create your dream wedding or celebration in Gran Canaria. 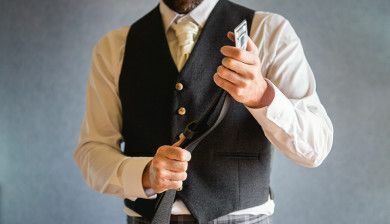 As specialists in chic, bespoke, enchanting weddings and events, we work together with you in planning and coordinating your celebration, whether you are looking for an intimate low key affair, or a big romantic affair, we are here to guide you, allowing you to totally lose yourself in your magical day. 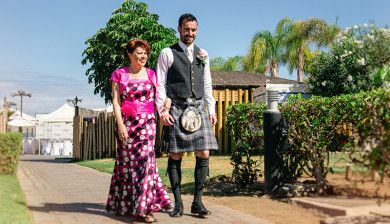 As experienced destination wedding planners and event organizers, we have over 20 year’s experience of working and living in Gran Canaria, so we can overcome linguistic and cultural barriers and find the perfect location for your day, without any hassle. 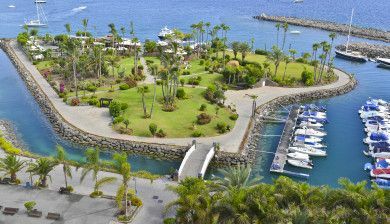 Our expertise allows us to bring together the islands best suppliers and facilities, utilizing our local knowledge we can reveal to you the hidden gems Gran Canaria has to offer. We work together with many professional suppliers offering a varied range of services and products at different prices ranges. 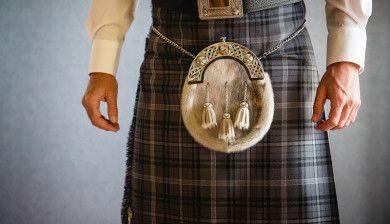 For that reason we are specialists at creating bespoke weddings to suit all our diverse clients styles and budgets. Whether you are looking for an extravagant wedding, or simple and stylish, we can create the wedding you have always dreamed of to fit into your budget. Looking to marry in a white-washed church, or indulge your fantasy of an outdoor wedding and exchange your vows poolside or receive a spiritual blessing on a luxury yacht? There are many options available and together we can find something to suit you and your budget perfectly. Maybe you’re looking to renew your wedding vows? Let us add some extra sparkle to your day, and give you a treasure chest of extra magical moments to add to the memories from your original wedding day. If you’re looking for wedding day bursting with romance, picturesque scenery, delicious cuisine, and welcoming local people, set under a year-round stunning blue sky, then you have come to the right place! 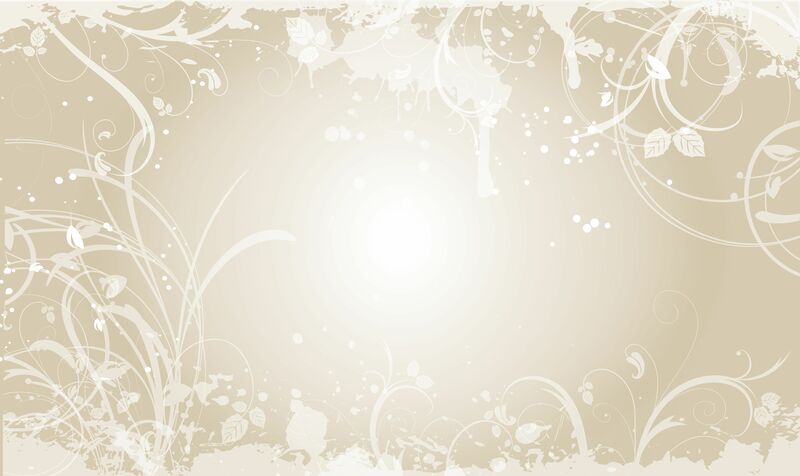 Hello everyone at the perfect wedding company! Thank you so much for such a beautiful wedding day brought together by all of your hard work! 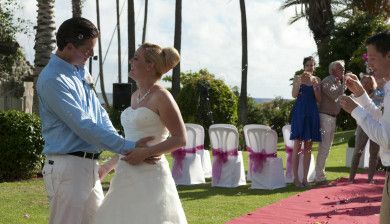 I'm so glad I chose to get married at Anfi and that I chose the Perfect Wedding Company! Thanks again for helping us create such beautiful memories. Just wanted to say a massive thank you for making yesterday so special, it was amazing and the girls were so professional nothing was too much trouble. We all thought it was one of the days of our lives. Andy and I want to send our heartfelt thanks for an amazing, wonderful day. You exceeded all our expectations and the change of location on the island was absolutely stunning. Had fantastic feedback from all of our guests. We received the video from Charlie last week which is out of this world, cant stop watching it! Many thanks for the photos and video, we are getting together a lovely collection. Once again, many, many thanks. I will be recommending your company to all who are interested, you and your team were fantastic. Szeretnénk megköszönni Bernie-nek és a csapatának azt az elképesztő professzionalizmust és odaadást, amivel az esküvönket szervezték. Az egész folyamat hihetetlenül simán és zökkenőmentesen zajlott és szinte nulla energiabefektetéssel egy pontosan olyan napot varázsoltak nekünk, amilyet elképzeltünk. Ha eddig csak tervezgettétek, hogy külföldön házasodtok, csodálatos, pálmafás környezetben, akkor ne gondolkozzatok tovább: a helyismeretüket és a kialakult kapcsolatrendszerüket használva bármit megoldanak, nektek csak le kell írnotok, mire vágytok, minden másról gondoskodnak és az esküvőtervezés és lebonyolítás rémálom helyett az lesz, aminek lennie kell: éleletetek legszebb napja! Benigna & György "We would like to thank Bernie and her team that amazing professionalism and dedication they've put in organizing our wedding. The whole process went unbelievably smooth and with almost zero effort from us they created a day we always imagined. If you have ever considered marrying abroad in a wonderful island among palm trees, well, stop thinking and just do it: they have an amazing local network that can arrange you anything, you just have to describe your dreams and wishes and they take care of it. Organizing and conducting the wedding turns from a nightmare to what it should really be: the best, most amazing day of your lives. Benigna & György"
Dear Bernadette, thank you so much for the perfect organization of our wedding! Already when we first met with Bernadette it was very clear to us that together with her we will be able to make the dream of our wedding on Gran Canaria become reality. Bernadette has a high capacity of knowing and catching very fast the ideas and dreams that a bride has, and she does everything to make them reality until the smallest detail. 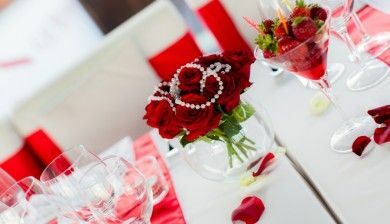 Due to her wide experience as a wedding planner she has lots of ideas and comes up with so many details that make the wedding even more perfect. 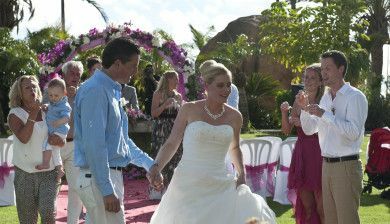 This day was just wonderful for us and our guests! Thank you for all! Would like to thanks Bernie, Dani + the team for arranging our beautiful wedding on Anfi’s heart shaped island, it was the most beautiful day we could of imagined. 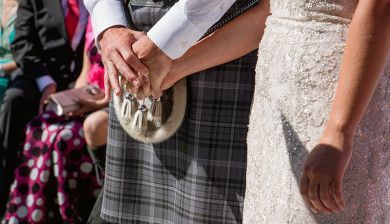 Very professional and the amount of hard work and dedication they put in to making our day so special was unbelievable. We could never of had such a special day like we did without the help of Bernie and her team. 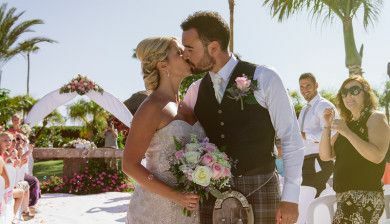 We would advise anyone wanting a wedding in Gran Canaria to definitely hire Bernie, especially if you want your day all the more special and memorable. "Liebe Bernadette, vielen lieben Dank für diesen unbeschreiblich tollen Tag! Es war einfach alles perfekt und hat all unsere Erwartungen nochmals übertroffen! Es gibt keine Worte, die unsere Emotionen ausdrücken könnten! Wir und unsere Gäste sind immer noch begeistert und können erst so langsam realisieren, dass dieser Traum wirklich wahr geworden ist - einfach wundervoll!!!" Tusen takk også fra den norske siden og mange hilsener fra Oslo!!! Para Bernie, ¡muchas gracias por absolutamente todo! ¡Hiciste que nuestro día fuese tan especial! Se dice que el día de tu boda es el mejor de tu vida y el nuestro lo fue totalmente. Fue mágico y nos encantó cada instante. Con amor, Jenna & Shawn. The main skills I have obtained and developed during my internship in The Perfect Wedding Company are stress management, project management and client satisfaction management. 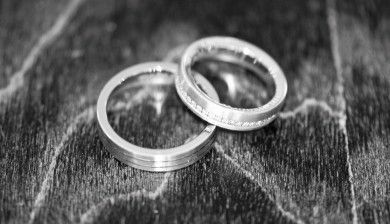 During the weddings we have to deal with stressful situations and time pressure as it is the most important day for a couple and everything should be flawless. Therefore, we have to follow the time schedule and follow the checklist of the day to make sure that nothing is missing. This all needs to be done quickly and communicated to the rest of the team. The time frames make it seem stressful. I have obtained client satisfaction management skill during the meetings with various personalities of different clients and learned how to satisfy their needs. Furthermore, our supervisor Bernadette has a vast experience in event management and other managerial fields that she is happy to share with us. I personally learned a lot from the stories and examples she always gives us. Thus, the work atmosphere is friendly and easy-going which makes working process smooth and pleasant. In this short period of time at The Perfect Wedding Company I have obtained a great insight in the for me extremely interesting and varied field of Wedding Planning at Gran Canaria. I had searched for an internship where I am in direct contact with customers, have the ability to improve my knowledge in Marketing and PR and gain experience in Event Management and Event Planning. The decision to work at this company in a lovely team was definitely the right choice. The team spirit and cohesion I sophisticated is outstanding and this is one of many points that makes working enjoyable. Bernadette gives her best to support us in our both professional and personal development. With her great experience and knowledge her advice and tips are more than useful and help a lot to handle the daily tasks and requests from customers and suppliers. For these reasons I recommend the internship at The Perfect Wedding Company to everyone who loves organizing events, having a lot of responsibility and giving the best to make the wedding day of our brides and grooms to the most amazing one in their lives. My personal experience as an intern at The Perfect Wedding Company is really well and like expected. It is a relatively small company and because of this I have the possibility to really practise and work in a lot in different areas. Updating social media pages, sending/responding on emails, having contact with clients/suppliers are my daily duties. By having the possibility to come up with my own ideas and develop them into practise is this internship a real learning experience. Bernadette is always there to help and advise me. 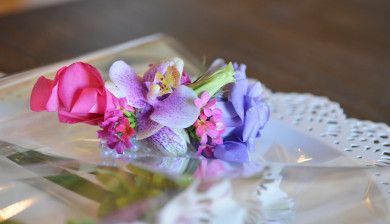 The internal communication with the colleagues and the contact we have with our clients is very personal; I think this is a positive point because the wedding industry is personal business. 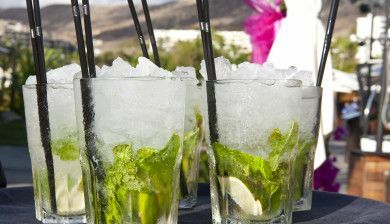 I would definitely recommend this internship to everyone who likes to work in the event sector, likes to know more about the wedding industry and likes to explore the beautiful island Gran Canaria. 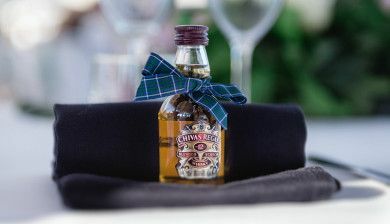 As the company name suggests the whole event was perfect and the attention to detail superb. Thanks for giving the happy couple the best memories of a wonderful day. Well done. Excellent event, everything went smoothly and was very impressive. Every part of the wedding was done to perfection and everything ran like clockwork. The whole event was beautiful. The staff was accommodating and polite, it exceeded all expectations. Tusen takk til venner og familie som var med å gjorde bryllupet vårt perfekt! Helt fantastisk at så mange fikk anledning å ta turen sørover til sola og være med å gjøre uka og dagen til noe vi aldri kommer til å glemme. Og takk til alle dere som har ønsket oss lykke til, tenkt på oss og gratulert. Vi er priviligerte som har så utrolig bra venner! Nå nyter vi livets glade dager en liten stund til. Vi er veldig godt fornøyd med hjelpen fra The perfect wedding company. Vi fikk raske tilbakemeldinger og god oppfølging. Vi følte vi var i trygge hender og kan med glede gi våre beste anbefalinger. Cannot thank Bernadette enough for the help and guidance she provided throughout our wedding. The time and effort she put into it was above and beyond what we ever would have expected. 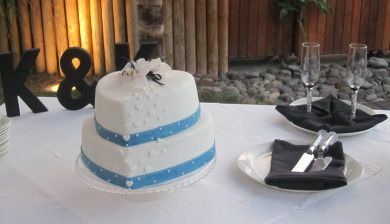 She made it so memorable and special for not only us, but for all our guests too. Her personal touches made all the difference and certainly were appreciated by all. 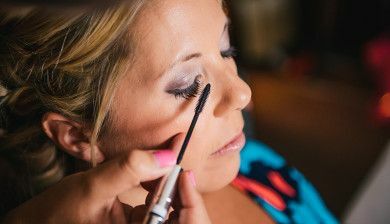 She was so lovely to work with over the year or so, and would definitely recommend her to any bride and groom to be. She took every bit of stress out of planning all of this and really let us get on with enjoying our big day. I don't know where to start with this amazing company! From start to finish everything was perfect! The communication is fantastic and Bernadette knew exactly what I wanted my wedding like from the beginning. I can not thank you enough. Unfortunately Bernadette was on holidays when my wedding took place so I was lucky enough to have her amazing assistant Michele who was fabulous. 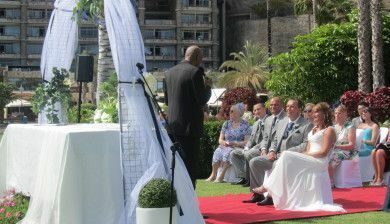 Fantastic company, Bernadette and crew organised my daughters wedding in Gran Canaria last week and did an excellent job. Thank you so much. I'd just like to say that my daughter's wedding to Oli was an absolutely perfect day in every way, and it was Bernie's dedication and attention to detail that gave us all a wonderful day to remember.She lowered our stress levels considerably and organised anything she was asked, however small, and many things we hadn't even thought of! The wedding was planned in a couple of months and by the time the day arrived Bernie felt like a family friend. She was discretely 'there' all day, ensuring that absolutely every detail was perfect and for that we are eternally grateful! I have absolutely no hesitation in recommending Bernie and The Perfect Wedding Company to ensure your wedding day is truly 'perfect' !! Bernadette, thank you for really nice special day which you prepared for us. Words are not really enough to express how incredibly grateful Paul & I and our family & friends are to you Bernie! You made this wedding process such a pleasure and you have been wonderful to deal with throughout and I'm delighted we have become friends! Our Wedding day was spectacular and perfect it exceeded my expectations on every level, it was seamless and that's all down to your impeccable planning, passion, experience, knowledge and unflappable nature combined with all our wishes! 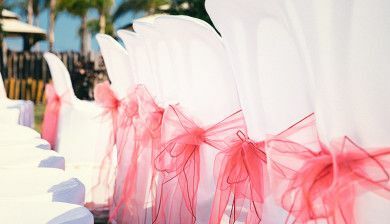 I would highly recommend The Perfect Wedding Company to anyone planning their Wedding in the beautiful Island of Gran Canaria! Dzień ślubu jest jednym z najważniejszych dni w życiu przyszłych małżonków i tak też było w naszym przypadku. Chcieliśmy, żeby nasz ślub był pod każdym wzglę dem wyjątkowy. 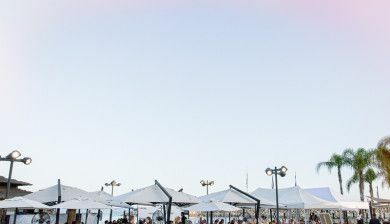 Wybraliśmy Gran Canarię i The Perfect Wedding Company jako naszego koordynatora ślubnego. Bernadette Garside, która jest dyrektorem The Perfect Wedding Company okazała się profesjonalistka w absolutnie każdym calu. We would like to say a huge thank you to you Bernadette. We were so stressed until we meet you. Our venue and setting had the most amazing view ever. Utterly incredible. You have such a lovely nature and made everything so easy. 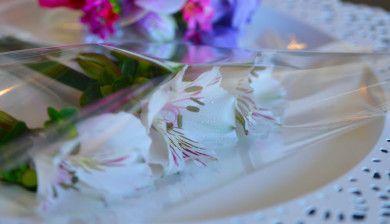 Anybody would be blessed for you to be a part of their day. Our friends and family had an awesome day and have nothing but lovely words to say about you and the wedding. I urge anybody reading this to use this company. My wife and I are now home and love every moment of our day. If you want a testimonial privately then message me. 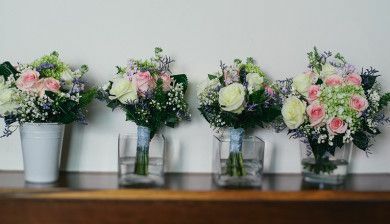 I can't speak highly enough of the service from these lovely wedding beauties! Tusen takk for organiseringen av vårt dobbelt bryllup 12.03.14 Det ble alt vi har drømt om og mere til! Vi anbefaler The Perfect Wedding Company på det sterkeste. The Perfect Wedding Company is exactly that, Bernadette and her team made our Renewal of Vows Service so wonderful, with only two weeks notice Bernadette pulled everything together, fantastic church location, flowers, car, photography and hair, in fact everything that was required, she also recommends fantastic restaurants as her knowledge of the island and her contacts is fabulous. We would not have had such a successful stress free day without her. We are so thankful for all the help that we got, regarding our wedding. Thank you for helping, arranging and being so understanding and flexible to all our last minutes changes. 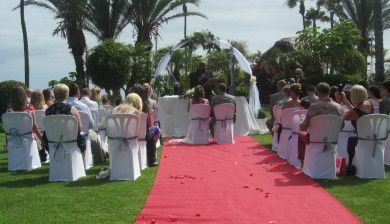 If you consider to get married in the Gran Canaries, Bernadette is the lady you would want to help you plan your wedding!! !She is the best. 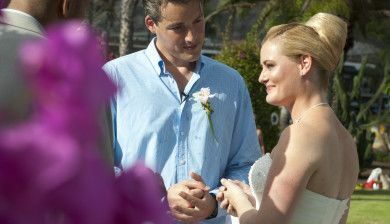 We are so pleased and happy that we chose The Perfect Wedding company to help us arrange our wedding. The service, help advice and execution was perfect !!! It was even more than we could ever expect and our day was simply unbelievably perfect in every way and our guests are still in ahh over the amazing day we had. So thank you very very much Bernadette for making our day absolutely amazingly perfect! Hugs, kisses and lots of love, appreciation and gratitude from all of us and all our guests. We are so grateful for what really was a perfect day. From the first time we contacted Bernadette, right through the planning and the ceremony itself, we were treated with nothing but kindness and respect. It was a massive comfort to know that even on the day there was someone there to ensure we were 100% happy 100% of the time without feeling overwhelmed by their presence. Every single detail was exactly how we wanted it. It will be a fond memory not just for us but for our family and friends too. The Perfect Wedding Company is amazing. We really couldn’t have asked for more. Bernadette is amazing at her job; she has gone above and beyond what has been asked of her. We really couldn’t have asked for more. 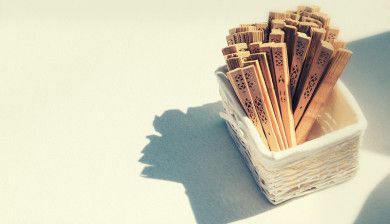 The service that has been provided has been outstanding, from every last tiny detail down to the food. 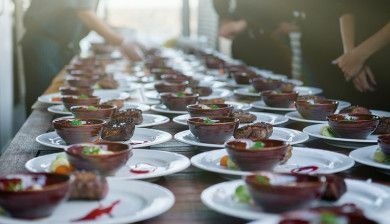 The venue was stunning, amazing food and service. Most of all we would like to take this opportunity to thank Bernadette so much for everything that she has done over the last 2 years organizing our special day. It has been so much more amazing than we could have ever thought possible. 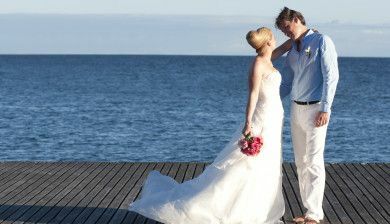 We would recommend The Perfect Wedding Company to anyone that is thinking of getting married in Gran Canaria. They will go above and beyond to make your day even more amazing than you could ever imagine. My wife and I would like to take this opportunity to thank Bernadette and all staff members at the Perfect Wedding Company for making our wedding Vow Renewal Service (30years), the most amazing day ever. Bernadettes caring approach and her professionalism continuously shines through, from making initial contact, through all of the arrangements, to the actual day. Our wedding vow renewal day was a small family affair with our two children and their partners present. 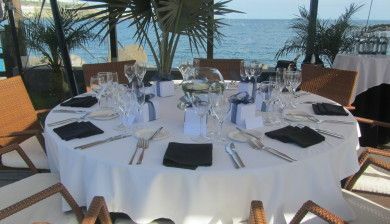 Bernadette arranged for the service to take place in the garden area of The Gloria Palace Amadores Hotel. The setting was beautiful and the table and chair arrangements perfect. Bernadette and her team have the talent of arranging every tiny detail while being part of the whole service, it was like an extension to the family and very much appreciated. 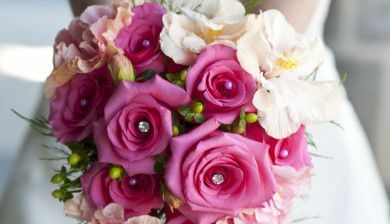 We would recommend the Perfect Wedding Company to everyone. Dear Bernadette. We would like to thank you very much for the excellent organising and of the smooth running you delivered for our special day last week. Once again thank you! Kind regards, David & Rick. Bernadette and her team arranged the most wonderful wedding for me and Lee. Her attention to detail and communication was second to none. We felt as though we had won the lottery with the ceremony and venue that she arranged. Her team of assistants, hair and make-up artists were all very professional and we wouldn’t have asked for more. The Photographer was wonderful too. 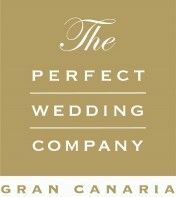 We would gladly recommend Bernadette and The Perfect Wedding Company to future brides and grooms wishing to marry in Gran Canaria. The Wedding was stunning! It was timed perfectly and everything went smoothly. Brilliant planning and wedding! We were pretty nervous about using a foreign wedding planner, especially one we had never spoken to. However, our fears dispersed when we met Bernadette - she is a real person and is very friendly. 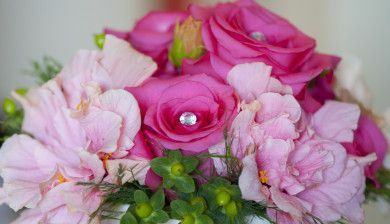 Regarding her services as a wedding planner, she was excellent and kept on top of everything. 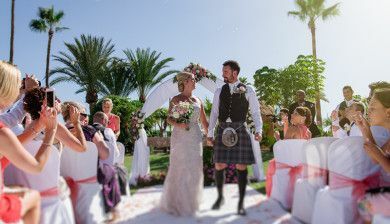 We got amazing value for money and our day was fantastic - we got married on the heart shaped Island in Gran Canaria and it all ran like clockwork. In fact, our wedding was extraordinarily cheap, despite being tropical. 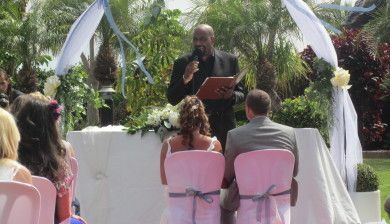 Gran Canaria was a great setting and Bernadette was The Perfect Wedding Planner. Highly professional and expert handling and arranging of the wedding between my granddaughter Samantha and Lee. I cannot speak highly enough of this company and would recommend them to anyone wishing for the best possible attention. 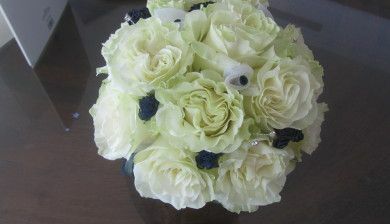 Special thanks to the Wedding Planning Director Ms Bernadette Garside for superb attention and support. We started off with idea regarding the type of atmosphere we'd like to create during our wedding day and the perfect wedding company turned that idea into a reality. Bernadette's professionalism, experience and dedication made our day both beautiful and effortless, we wish we could do it all again. Bernadette organized our WHOLE wedding in 2 weeks and I mean everything (including my dress). I was 8 months pregnant and in no mood or shape to be organizing a wedding. We gave Bernadette 2 weeks’ notice and asked whether she could do it and she just took care of everything. I truly couldn’t have got married without her! 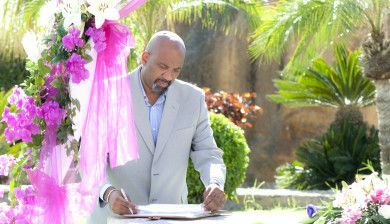 We’d never considered hiring a wedding planner till my daughter decided to get married abroad. Now I would recommend one to everyone. The whole day was made so much more enjoyable as we didn’t need to stress about any of the organization. Bernadette and her team told us where we need to be and at what time and the rest was taken care of. Highly recommended!